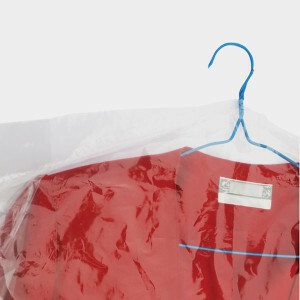 Before you recycle dry cleaning bags, make sure they don’t have any tags or receipts attached to them. Remove any wire hangers from the bags as well. Reduce plastic consumption by taking your clothes to the dry cleaner in a reusable garment bag. Many items that say “dry clean only” can be washed by hand and gently steamed to remove wrinkles. Because the chemicals used in dry cleaning can leach into water supplies, only chemically clean garments that really need it. How Many Dry Cleaning Bags? Americans use an estimated 300 million pounds of plastic dry cleaning bags each year. These bags are not easy to reuse or recycle, and often end up in landfills or contaminating the environment. The company GreenEarth Cleaning has created a way to dry clean clothing with liquid silicone instead of petrochemicals. Read more here or locate your closest green dry cleaner.